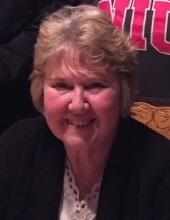 Kathleen “Kathy” Boreham, age 71, a longtime resident of Plainfield, IL, passed away on January 11, 2019. She was born August 15, 1947 in Chicago, IL. She is survived by her husband of 50 years, Bob Boreham; sons Keith Boreham of Fox Lake, IL and Todd (Jill) Boreham of Plainfield, IL; daughter Annette (Ralph) Osuch of Plainfield, IL; grandchildren Jeff and Jorie Osuch; brothers James (Teresa) Appleby, Robert Appleby, and Ralph Appleby, all of Burbank, IL. She leaves behind numerous nieces and nephews that she loved dearly, as well as her faithful companion Cubbie. She is preceded in death by her parents Sophie and Bernard Appleby, and her brother John Appleby. Kathy was born and raised in Chicago until she went to live in Berwyn from 1968-1978. From there, she spent the rest of her life in Plainfield, IL, where she was a member of St. Mary Immaculate Catholic Parish. Before moving to Plainfield, Kathy was a longtime member of Good Shepherd Catholic Church in Chicago where she received all of her Sacraments. Kathy graduated from Good Shepherd Catholic School in Chicago, Class of 1961 and Providence Catholic High School in Chicago, Class of 1965. She went on to the College of DuPage in 2001 to complete the Library Technology Program and got a perfect score! She spent over 30 years working for the Plainfield Public Library as the Head of Technical Services until her retirement in 2013. Kathy will be fondly remembered as being a member of Beta Sigma Phi, her neighborhood sorority, which was founded to promote friendship, local charity, and to serve those in need. She enjoyed being an avid sports fan for all of her children and grandchildren's activities. Kathy had a number of interests that included genealogy, astrology, psychic parties, and numerology. Most of all, she loved her family and friends and will be deeply missed. Visitation will be on Monday, January 21 from 3:00 to 8:00 PM at Overman-Jones Funeral Home & Cremation Services 15219 S. Joliet Rd. Plainfield, IL 60544. A Mass of Christian Burial will be celebrated on Tuesday, January 22 , 10:30 AM at St. Mary Immaculate Parish 15629 S. Rt 59 Plainfield, IL 60544. For those wishing to leave a lasting tribute to Kathy’s memory, in lieu of flowers, donations to St. Jude Children’s Research Hospital at 501 St. Jude Pl. Memphis, TN 38105 would be appreciated. To send flowers or a remembrance gift to the family of Kathleen Boreham, please visit our Tribute Store. "Email Address" would like to share the life celebration of Kathleen Boreham. Click on the "link" to go to share a favorite memory or leave a condolence message for the family.